How can I add a custom field into my document template? 2. Add this variable into your template (Picture 2). 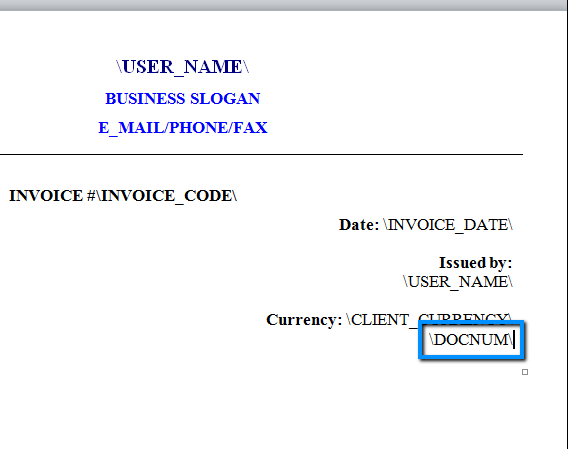 Important: If you need to add your client job custom fields into your invoices, please check this article.